Lake Como offers one of Italy’s most spectacular landscapes and settings. The history of the Lario region (Lake Como’s original name) dates back centuries. With its close proximity to Switzerland and Milan, the nobility of the Renaissance period would frequently travel and keep holiday homes here at the lake. 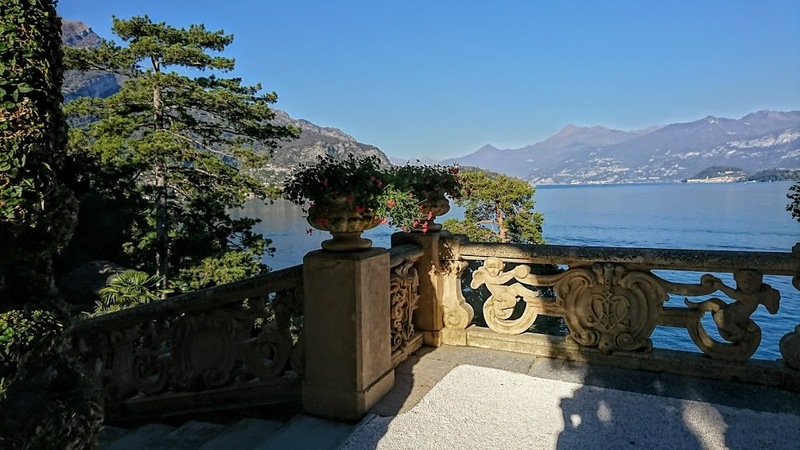 Today, many of these villas and historical mansions are still private property, and not open for viewing, but are available for events such as conferences and weddings on Lake Como. However, there are some villas and gardens on Lake Como that are open to the public and can be visited. Take an organized tour of the villas or visit on your own. I highly recommend the day tour with Lake Como Food Tours, read about my experience. Villa del Balbianello is probably the most famous and recognizable villa of Lake Como. Known as the setting in many films such as Casino Royale (2006) and Star Wars: Episode II Attack of the Clones (2002). Its lush gardens and extravagantly elegant location on top of the Dosso d’Avedo peninsula overlooks the lake and is simply awe-inspiring. Once a Franciscan monastery, then a private residence to a cardinal, the property was passed down to a revolutionary, then sold to an American businessman, and finally, in 1974 it was sold to Count Guido Monzino, a prominent Italian entrepreneur and explorer. Today the villa is a house-museum displaying Monzino’s personal collections of art and artifacts found during his many expeditions. The rooms and salons are decorated with original furnishings and an antique library which brings you back in time. Getting there: Located on the Dosso d’Avedo peninsula in the town of Lenno. By boat: The most glamorous and most memorable way to arrive is by private boat. Private taxiboats are available from other towns and villages. Public ferries stop at SS Regina port. By train: get off at Como station and then take the C10 bus to Lenno, walk 25 minutes uphill to the villa. Originally a twelfth-century convent, it was sold and passed ownership to an iron mining mogul, an eccentric German industrialist and finally, in 1936 the De Marchi family of Milan, who then donated the villa and property to the Province of Como. The province has since been redistributed and today Villa Monastero is under ownership and management of the Lecco Province. The multi-level lakeside gardens were opened to the public in the 1950’s and the villa house-museum displays art, and furniture collected from the many previous owners. Getting there: Villa Monastero is located in the center of Varenna at Viale Giovanni Polvani, 4, 23829 Varenna LC. By boat: Public ferries stop at Varenna port. Private taxiboats are available from Lake Como towns and villages. By train: get off at the Varenna-Esino station and then walk 20 minutes downhill to the center of town. The villa is located near the San Giorgio (St. George) Church. The most sensational thing about Villa Carlotta is the 20-acre botanical garden overlooking the shimmering waters of Lake Como. Much like the other villas of Lario (Lake Como’s antique name), Villa Carlotta has changed ownership a number of times. Once a country estate to a Milanese marquis, which stayed in the family for over one hundred years, it was then sold to a politician of the Napoleonic era who was an avid art collector and constantly in pursuit of beauty, hence the prestigious art collection and elaborate terraced botanical garden. Successively, it was sold to a German princess who then bestowed the villa upon her daughter Charlotte – hence the name. The villa was not confiscated during WWI as were other properties but was eventually passed to the Ente Villa Carlotta, a charitable foundation entrusted to care for and maintain the villa and its gardens. Getting there: Villa Carlotta is located in Tremezzo at Via Regina, 2, 22019 Tremezzina CO.
By boat: Public ferries stop at Tremezzo-Villa Carlotta port. Private taxiboat is also another option. By train: get off at Como station and then take the bus C10 to Tremezzo-Villa Carlotta. Once known as the Castle of Bellagio, and owned by the Sfondrati noble family, famed guests such as Emperor Massimiliano I, Leonardo da Vinci, Lodovico il Moro, and Bianca Sforza walked the corridors. In 1788, it was inherited by Alessandro Serbelloni, last of the Sfondrati legacy. In 1930, Ella Walker, heiress to the American H. Walker & Sons distillery, bought and subsequently donated the mansion to the Rockefeller Foundation in 1959. The foundation was visited by John F. Kennedy in 1963. Today the foundation uses the villa for visiting scholars and artists. The hillside-terraced gardens can be visited from March to November from Tuesdays to Sundays. Nearby, there is also the luxury Hotel Villa Serbelloni. Getting there: the Villa Serbelloni and gardens are located in Bellagio at Piazza della Chiesa, 14, Bellagio. By train: There are no direct trains to Bellagio. The fastest way is to take a train to Como or Varenna and then a ferryboat across to Bellagio. Then it’s a pleasant 10-minute, uphill walk. By car: from Como or Lecco take the provincial highway, SP583, north towards Bellagio. Built between 1808 and 1810 for Francesco Melzi d’Eril (1753-1816), Duke of Lodi, and Vice President of Italian Republic under Napoleon rule. Visit the beautiful English style, botanical garden with a variety of plants and flowers as well as a chapel, sculptures, pavilions, and terraces. Open from March to October. Getting there: the Villa Melzi and gardens are located in Bellagio at Via Lungolario Manzoni, 22021 Bellagio CO.
By train: There are no direct trains to Bellagio. The fastest way is to take a train to Como or Varenna and then a ferryboat across to Bellagio. Then it’s a pleasant 10-minute, walk.